Roberts fires Leeds to victory. Hull: Marshall, Lichaj, Burke, Grosicki (Dicko 65), Irvine (Stewart 28), Kane, Bowen, Henriksen, Kingsley, Martin (Campbell 64), Elphick. Subs not used: Batty, Keane, Curry, McKenzie. 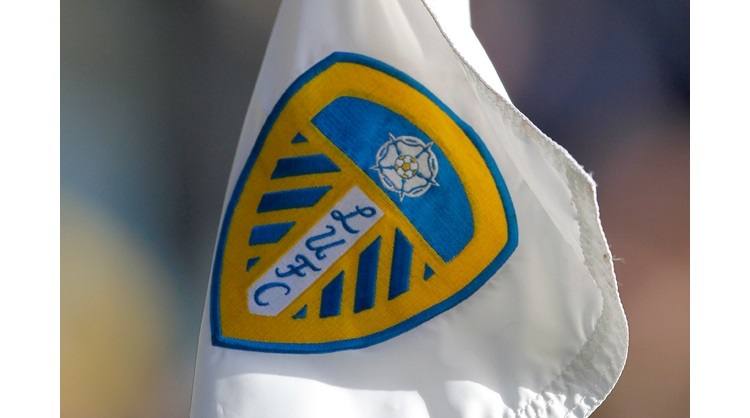 Leeds: Peacock-Farrell, Ayling, Cooper, Jansson, Phillips, Douglas (Shackleton 82), Klich, Harrison (Dallas 74), Alioski, Saiz (Forshaw 74), Roberts. Subs: Blackman, Pearce, Baker, Clarke. Tyler Roberts’ third goal of the season secured Leeds United a deserved victory at the KCOM Stadium against Hull City. Roberts had the first chance of the game inside three minutes, but his effort deflected wide for a corner. From the resulting set piece, Samuel Saiz saw an effort blocked as Leeds looked to take the game by the scruff of the neck early on. Leeds broke up the pitch with ease and had a great opportunity four minutes later, Saiz found Ezgjan Alioski who teed up Mateusz Klich on the edge of the box, but he fired just wide. Hull’s first sight on goal came in the 10th minute when Reece Burke headed Kamil Grosicki’s corner at goal, but it was blocked really well by Leeds skipper Liam Cooper. Grosicki saw an effort deflect wide for the home side, but Leeds should have taken the lead 10 minutes before the break. Kalvin Phillips played a neat ball into the Hull box which Roberts flicked on, allowing Alioski to go one-on-one with David Marshall, but he fired wide. The Whites then went close from a corner, Cooper headed towards goal and Luke Ayling then got his head to the ball, but his attempt went off target. Leeds had another brilliant chance, with a minute of normal time remaining in the first period, Alioski played the ball across goal and with the ball just behind Douglas, he could only fire over with the goal gaping. In first half stoppage time, Saiz tried his luck from 20 yards, but his low attempt was wide of the mark as Leeds were forced to go in level despite dominating. After the break, Luke Ayling went close for the Whites, he met a neat ball from Klich, but could only fire over from a narrow angle. Leeds’ dominance finally paid off in the 51st minute, Roberts controlled, before firing home superbly into the bottom left corner from 25 yards. Phillips then had two opportunities on goal from set pieces. First he saw a header at a Leeds corner go over the bar under pressure. There was then an appeal for a Leeds penalty, when Douglas delivered a free-kick and Cooper knocked it down to Phillips, his strike appeared to be blocked by a Hull City arm, but the referee waved away the protests from the Leeds players and away support. The Tigers then threatened in the 64th minute, Grosciki delivered a free-kick and Tommy Elphick headed just wide. Cooper nearly added a second following another dangerous free-kick from Douglas, but his header went wide. With five minutes of normal time remaining, Hull had a good chance. The ball pinged around the Leeds area with Fraizer Campbell, Nouha Dicko and Jarrod Bowen all striking at goal, but the Whites threw bodies in front of all three efforts to remain in front. In stoppage time Bowen was picked out with a good cross for Hull, but substitute Stuart Dallas made a good block as the Whites held out to secure all three points and move back to the top of the Sky Bet Championship table.